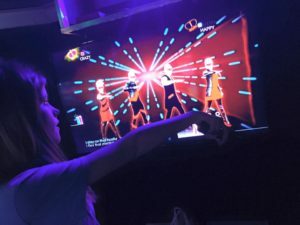 The BEST Birthday Party Idea in Billings and South Central Montana! 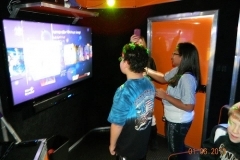 Our luxury video game theater comes right to you! 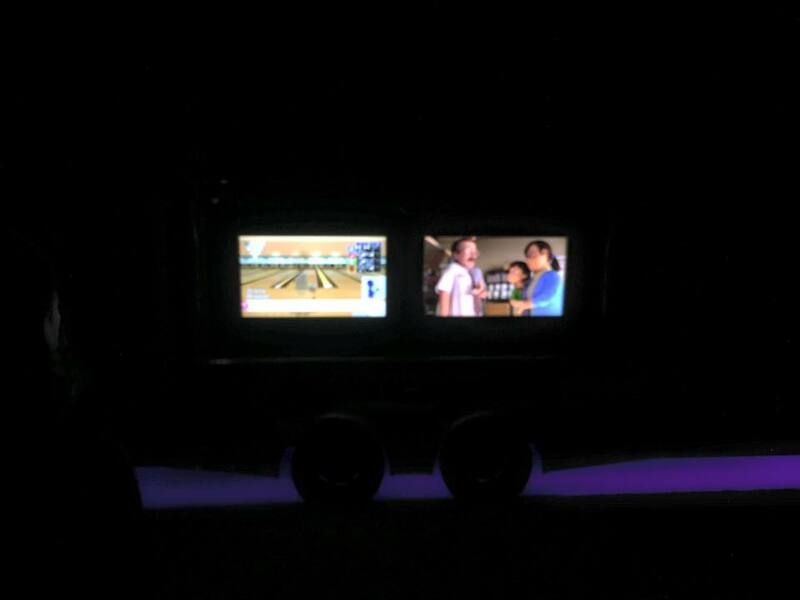 The ultimate Billings birthday party idea! Tired of throwing the same old birthday party? Looking for the coolest birthday party in Billings, Yellowstone County, Carbon County, Big Horn County or Stillwater County, Montana? The ultimate party idea for kids of all ages ? We’ve got it! 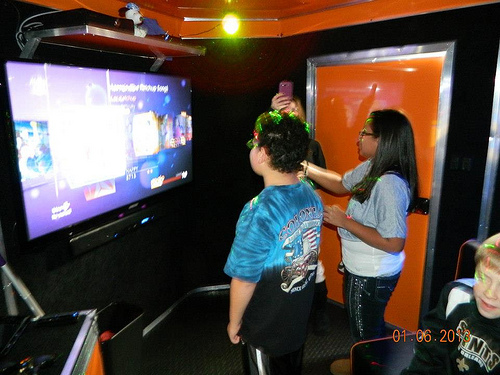 Our Mobile Video Game Theater provides the ultimate gaming experience right at your front door in our luxury limo style theater! Our amazing video game truck is the perfect no-mess, no-stress birthday party experience that will make you the coolest parent on the planet. 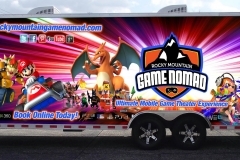 The look on the face of the birthday boy or girl when the Rocky Mountain Game Nomad rolls up into your neighborhood will be priceless. 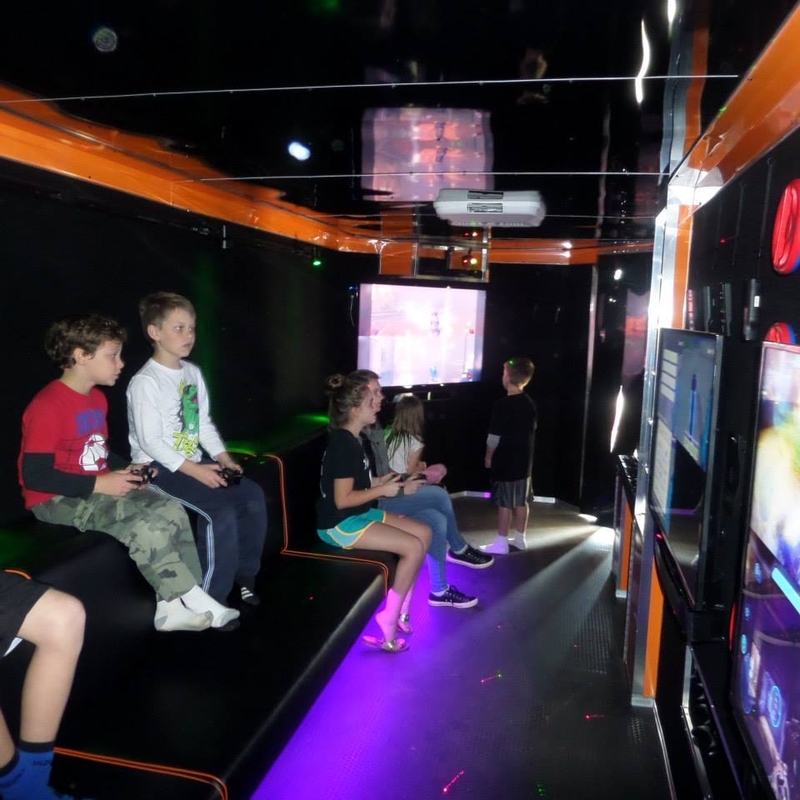 Our Video Game Truck features 7 wide screen HDTVs, Gaming Consoles from XBox One, PS4, Wii and Wii U, surround sound, a laser light show, an action station and multi-player gaming excitement! 28 can play at the same time (weather permitting)! Worried about video game ratings? Don’t be! 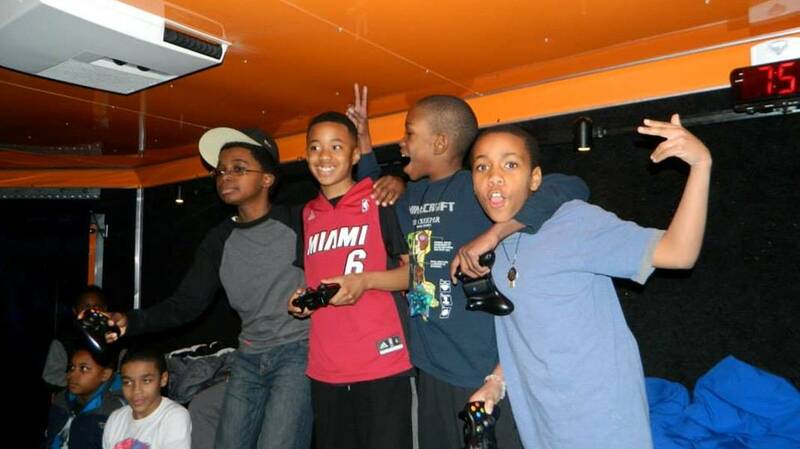 We understand the importance of providing appropriate games. When you book your party, you select the appropriate game ratings for your guests and we adjust the game library accordingly. 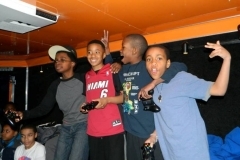 See our game inventory here. ■Special Gift for the Birthday V.I.P. !